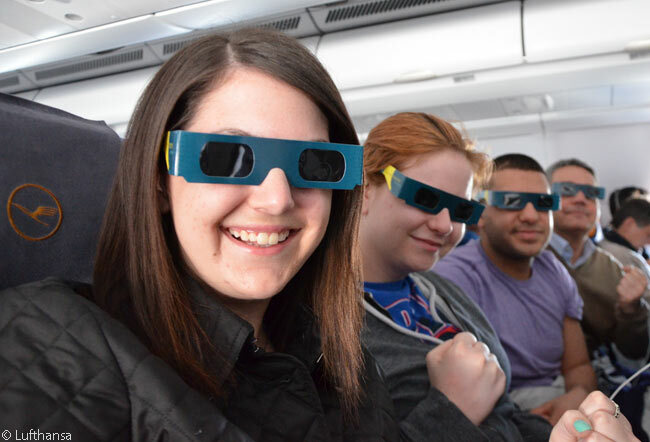 Passengers on board Lufthansa flight LH435 from Chicago to Munich were able to experience a total eclipse of the sun, early on the morning of March 20 local time. 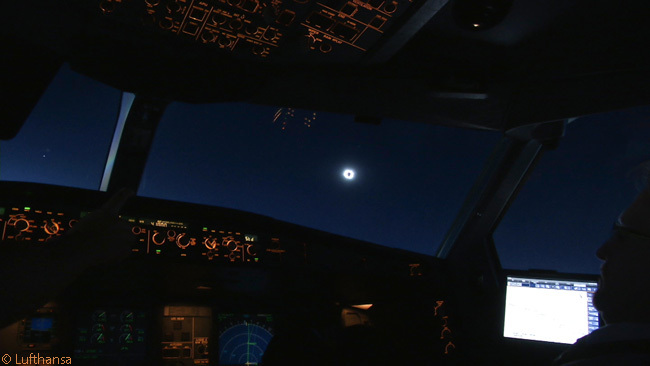 As a result of a minor change in its flight path to a routing southeast of Iceland, the Lufthansa Airbus A330-300 passed the complete shadow of the moon eclipsing the sun, with the aircraft flying at a cruising altitude of 12,600 meters (41,350 feet) above sea level. 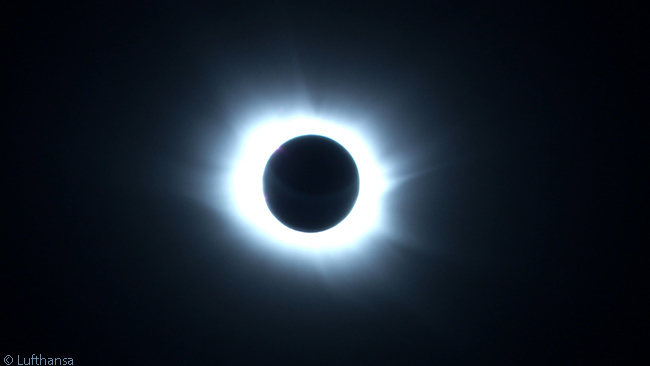 The passengers got to see this natural event from a special viewpoint at 10:37 a.m. Central European Time for almost four minutes – one minute longer than the eclipse was visible on the ground. For the first time, Lufthansa’s in-flight service included UV glasses and an informational brochure in the seat back pockets, in addition to meals and beverages. After the flight’s departure from Chicago O’Hare International Airport, the passengers were informed of the spectacular event during their flight through an announcement from the cockpit. Those who wished to be woken six hours after take-off could put a sticker on their seat.